Galaxy S8+ Teardown Reveals Exact Battery Specs as Note7’s – Is it Explosion-Proof Though? 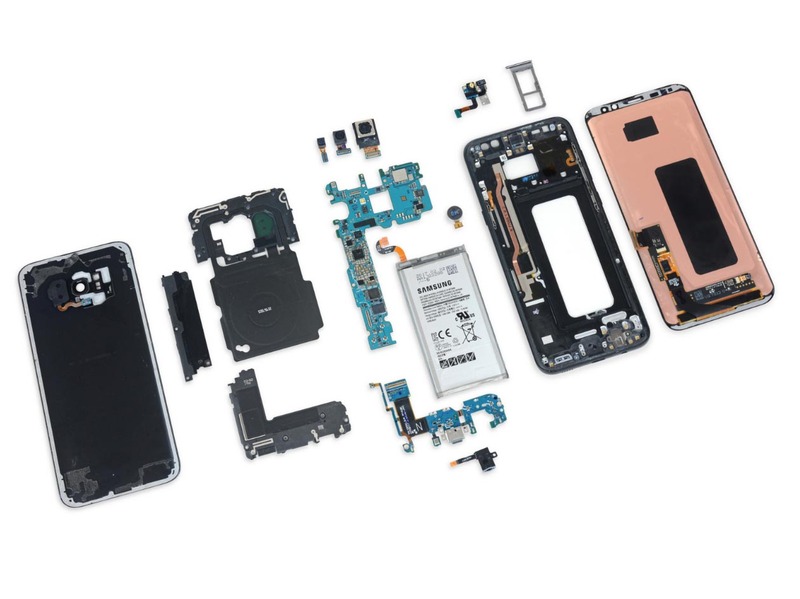 The 6.2-inch display of the Galaxy S8+ is big enough to accommodate a 3,500mAh battery and the latest teardown from the proficient iFixit team reveals some very interesting details about this process. The glass and metal frame of the Galaxy S8+ ensures that popping the hood of the flagship is not going to be an easy task. 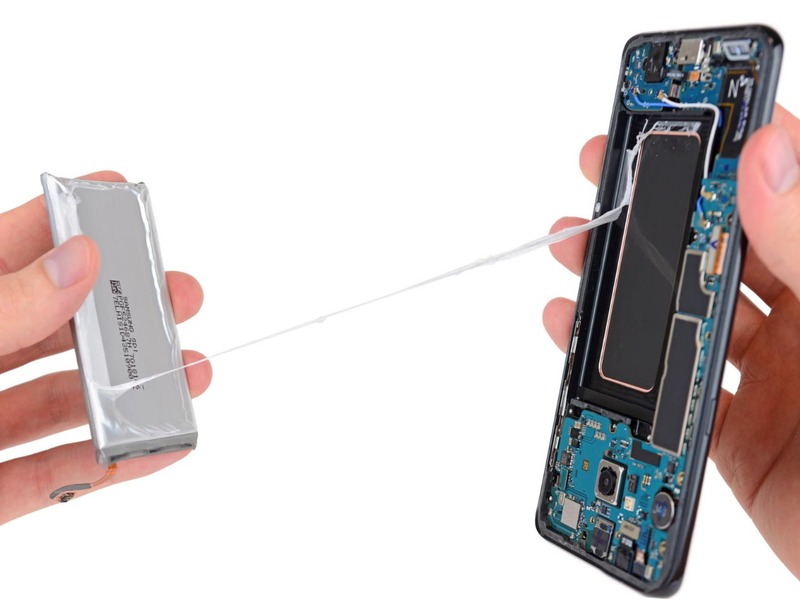 Also keep in mind that if you plan on doing a teardown procedure yourself, the sticky adhesive surrounding the borders of the phone will have to be removed, taking away the IP68 water-resistance rating from the Galaxy S8+. Now coming to the teardown, iFixit has given the handset a repairability score of 4 out of 10 and the website has pointed out details (given right at the bottom) as to why the phone was given such a low score. While our readers continue to sift through those details, here is a very interesting revelation that was found out during this teardown procedure. As you all know, the Galaxy S8+ features a 3,500mAh but the fascinating thing is that not only is the capacity identical to the cell found in the Note7, but the voltage rating is identical as well. To clarify, S8+ features a 13.48Wh cell (rated at 3500mAh at 3.85V) and these specifications are the exact same for the cell that was present in the Galaxy Note7. The difference here is that these don’t seem to carry a threat of explosion as the primary component that was found in the ill-fated and ‘now abandoned’ Note7. 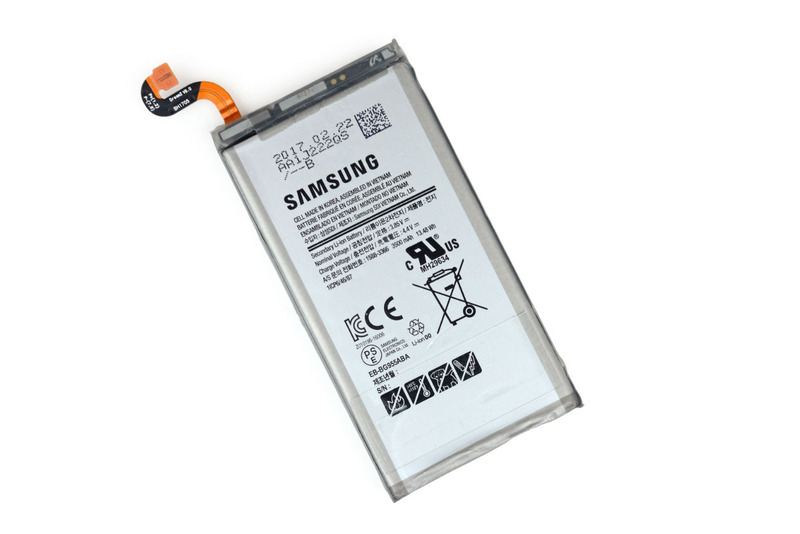 Looks like Samsung’s advanced battery safety-checking measures worked out well in the company’s favour. As for the phone’s repairability, its Infinity Display and near bezel-less form is certainly the most attractive aspects of the flagship, but it pays to carry it around safely. “Many components are modular and can be replaced independently.